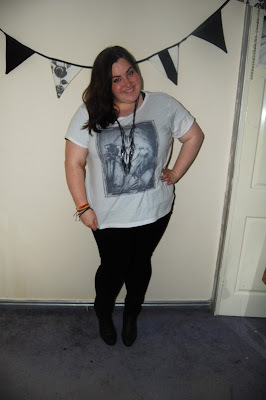 Just another white top and black jeans combination. I'm just throwing this on all the time at the moment and really need to inject some bright colours into my wardrobe. I do love monochrome though, and it really is matching the horrible, horrible weather at the moment. I am a big fan of autumn and autumn weather, but not all of this rain that we've had the past few days! Anyway, onto the outfit. 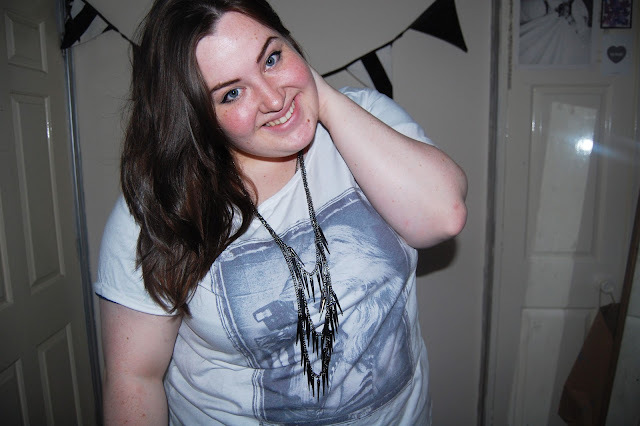 I picked this Blondie t-shirt up from ASOS Curve. I've seen quite a few band t-shirt mini trends going on in certain magazines and this was my little take on it. I kept the outfit really simple with black skinnies from Marks and Spencer. These were a bargain I picked up for under fifteen quid. Great to just throw on an go. 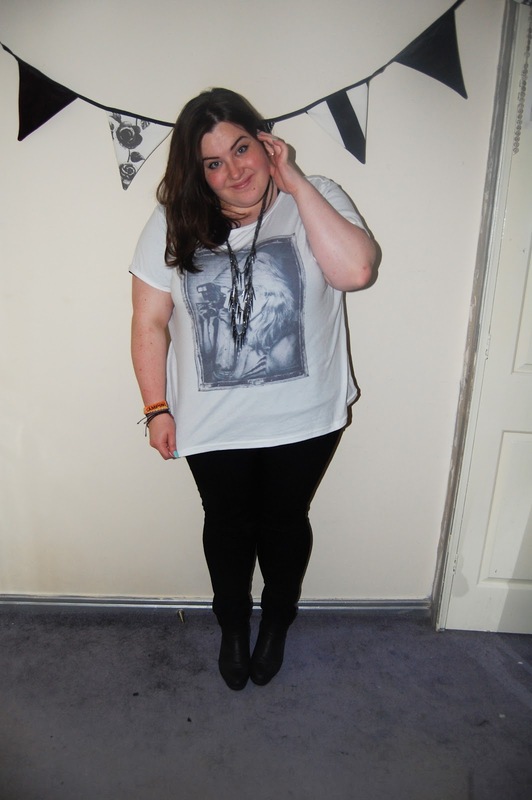 I also wore the black ASOS chelsea boots. I have another pair of ASOS boots on their way to me that I picked up in the sale, so I'll show you them as soon as I can. 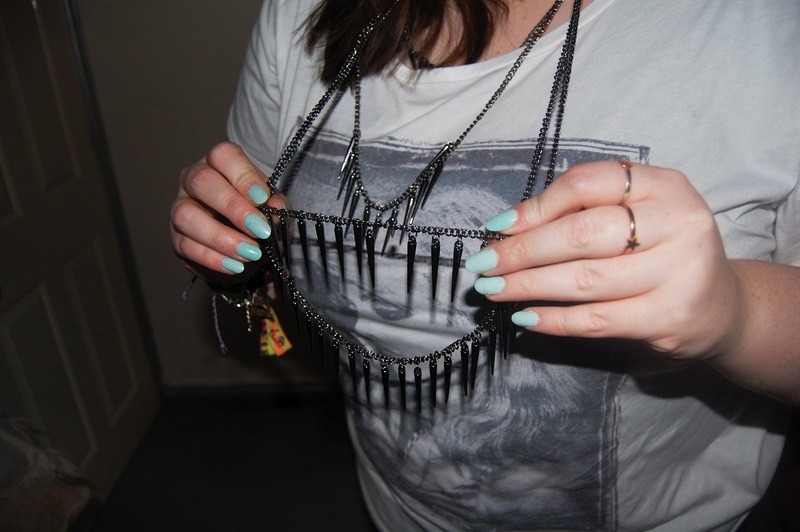 I'm loving this spiky necklace at the moment too, it adds a bit of originality to an otherwise bordering on boring outfit. Anyway I'm off to paint my nails a new colour/ pattern if it goes well I'll show you the tomorrow!